As final exams approach, help the kids manage stress with these tricks from a local education expert: The night before an exam, many students feel “sick”–their head is aching, their stomach hurts, their back is sore. Others feel angry, or possibly even depressed. Some are irritable and others lose focus. While these symptoms might seem like ones that need medical attention, they may just be implications of test anxiety–especially if a big exam is looming. Try some of the strategies below to reduce your child’s anxiety and help her feel relaxed, prepared, and positive come test day. Have your child lay down or sit in a comfortable spot with his eyes closed. Tell him to focus on his breathing, and rest his hands on his stomach to feel his breath move up and down. Have your child count backwards from 10 (or another number of your choosing) in the following manner: he inhales deeply while saying the number “ten.” He then exhales while saying out loud “relax.” Then he inhales again deeply and says “nine,” and exhales while saying “relax.” He continues to follow this pattern until he reaches zero. As he performs this exercise, his breathing should move from shallow chest breathing to deeper abdominal breathing, helping him to relax and reduce his anxiety before an exam. 2) Journaling: Encourage your child write in a journal about her test worries. On the morning of the exam, have her sit in a quiet room free of distractions and write about her worries and concerns for 10 minutes. She can even decorate her journal with colors or stickers to make it feel comforting and familiar. A University of Chicago Study found that this type of journaling can help students reduce their anxiety and improve their overall performance on exams. 3) Memory strategies: Remind your child to use memory strategies when preparing for exams, including acronyms, checklists, and other mnemonics. For example, he can also use an acronym such as PEMDAS (Please Excuse My Dear Aunt Sally) to remember the sequence in solving math equations: Parenthesis, Exponents, Multiplication, Division, Addition, Subtraction. Likewise, when learning the planets, your child can create a silly sentence such as “My very eager mom jumped straight up near Paris!” to represent Mercury, Venus, Earth, Mars, Jupiter, Uranus, Neptune, Pluto. As soon as he is given his test, he should write down the acronyms‎ and/or other mnemonics that he memorized. 4) Rewards: Give your child a reward to look forward to once the exam is over, whether it’s a movie, dinner out at her favorite restaurant, an ice cream date, or a similar treat. Providing your child with something exciting to look forward to can help her stay calm and positive. 5) During the exam, encourage your child to use test-taking strategies. For instance, she should answer the easiest questions first and determine an allotted amount of time to spend on each question. For multiple choice questions, she should read the question in its entirety before looking at the answer choices, try to answer the question in her mind before looking at the choices, and cross out answers she knows are incorrect. For essay exams, she should map out a schedule, carefully look at the directive words when reading the question, and create an outline before beginning to write. 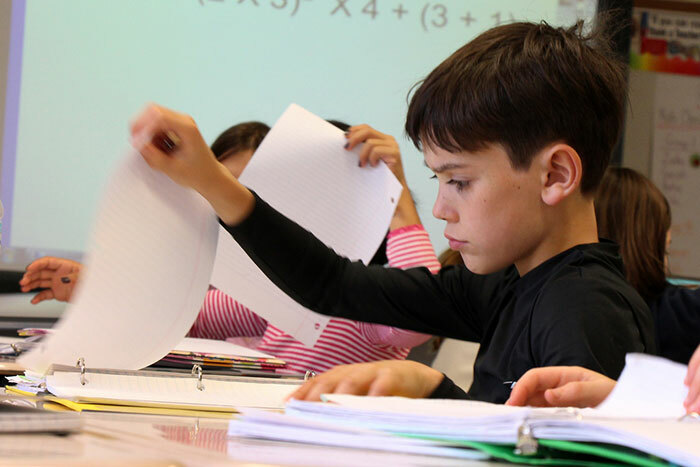 Taking tests–whether standardized or in-class–can be daunting for many students. By teaching your child strategies and encouraging him to use these strategies on a regular basis, he will learn to relax, stay confident, and improve his overall performance on exams.